Everyone was AHHHHMAZING!! Especially Celia, she went above and beyond! It was beautiful and like home! Celia was extremely responsive and helpful. Our group of four families has rented vacation houses together for the past 11 years, and this was by far the easiest rental experience we've had. This was such a perfect house, perfect location, and perfect vacation. We plan to come back year after year! Celia was very helpful on every aspect of our stay! We has a wonderful vacation experience during our stay! The house fully met our needs and we were very impressed with it's layout and appointments. Jason was very helpful and went out of his way to accommodate our requests. 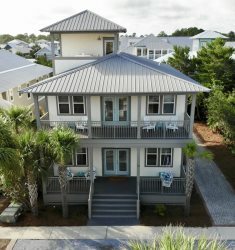 Very nice property right on the beach and within walking and biking distance of everything you need! Great bunk room for the the kids and two master bedrooms worked out great for the adults. A nice plus having the bikes available - we rode everyday. Staff was helpful and we had a fabulous time. We'll be back! The house was amazing. Perfect for both adults and children.